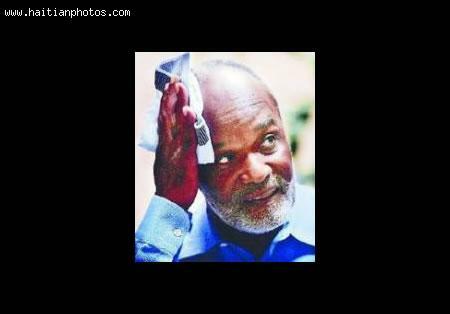 Judge Al Duniel Dimanche who is in the process of investigating possible embezzlement of several million dollars at the National Insurance Office (ONA) has ordered the arrest of former President Rene Preval. The Former Director General of ONA, Sandro Joseph, has been accused of corruption, embezzlement, forgery and conspiracy. After a request to appear was ignored by Rene Preval, now an arrest warrant has been issued. Former Prime Minister Jean Max Bellerive is probably not happy with having his name mentioned every time there is a reference to the 2010 earthquake recovery or Petrocaribe funds; however he continue to be an important character in relationship to both. This time once again his name was cited in a possible bribery case. 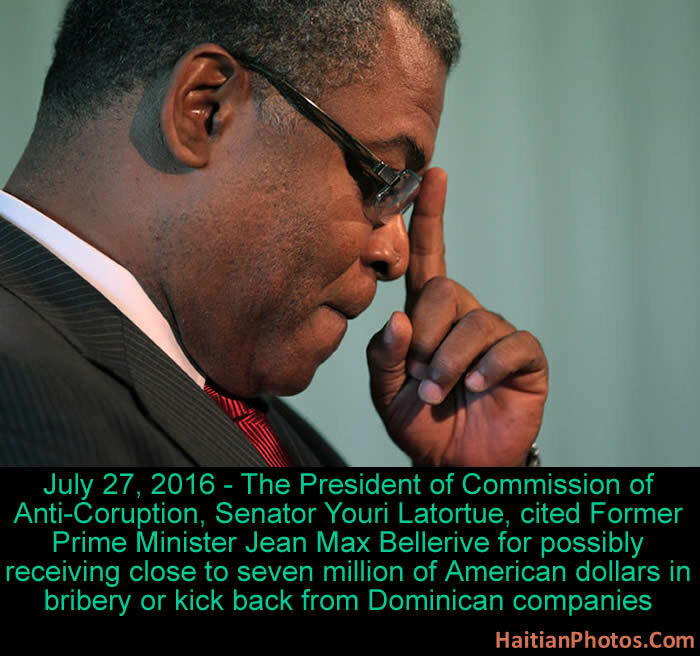 The President of Commission of Anti-Corruption, Senator Youri Latortue, this week cited Jean Max Bellerive for possibly receiving close to seven million of American dollars in bribery or kick back by Dominican companies. The corruption regarding PetroCaribe fund does not seem to be ending any time soon. More stuff are being discovered each day. 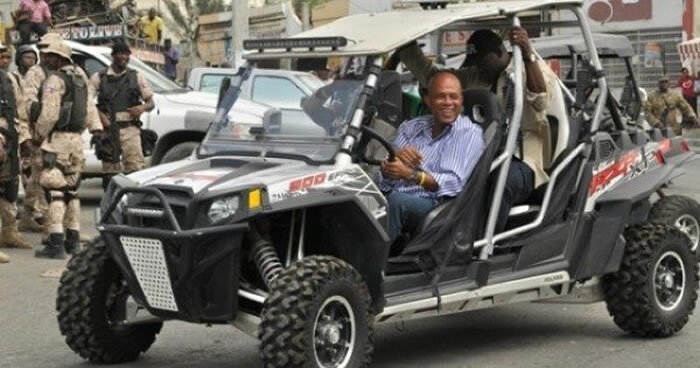 The latest discovery is a $4,5 millions dollars spent by the Martelly government to equip Haiti National Police with some Polaris vehicles to facilitate movement. According to Senator Youri Latortue on Radio Scoop FM yesterday, none of the vehiches were deliverd to the PNH. The information was furnished by the actual Policer chief, Mchel Ange Gedeon. The only Polaris vehicles in possession of the PNH are 20 given by the Canadian Embassy. These fund were released at the time Evans Paul was Prime Minister. You may also want to know that the firm "Agritans" that belongs to Presidential candidate Jovenel Moise was one of the companies that benefited from this project. Let me start by saying this is not the case of a dead person transformed into a Haitian Zombi although many would think this is possible. Florence Duperval Guillaume who was Haiti Minister of Public Health under the Martelly government had managed to do that. She actually signed one of these lucrative contracts with funds from PetroCaribe with someone who as pronounced dead for over five months earlier and buried. According to Senator Youri Latortue, the person in question died in April; however both his name and signature appeared at the end of a contract along with Minister Florence Duperval Guillaume in September of that same year. Senator Cantave who worked in the Ministry at the time was present at the funeral. This is either a case of ignorance, total incompetence or where several Con Artists get together to defraud the Haitian government. 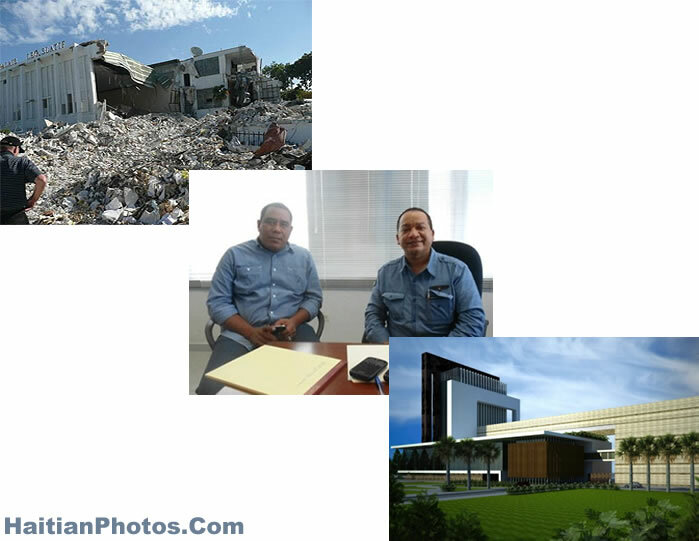 In 2010, the Haitian Government signed a contract with Dominican firm HADOM to build the Haitian Parliament that was destroyed during the 2010 earthquake. The government gave them $10 million US before seeing any result. May, 2016 - Hearing of former Minister of Planning and External Cooperation(MPCE) Yves Germain Joseph, revealed that the Ministry of Planning and External Cooperation contracted with the GTC Construction firm for the construction of 18 km of road connecting Fermathe road through Soisson to end at "Académie de Frères". The total amount of the contract was $ 22 million. One: According to the former minister, the company received $ 21 million or over 95 percent of the total cost of the project for performing only 8 km road or 44 percent of the work. 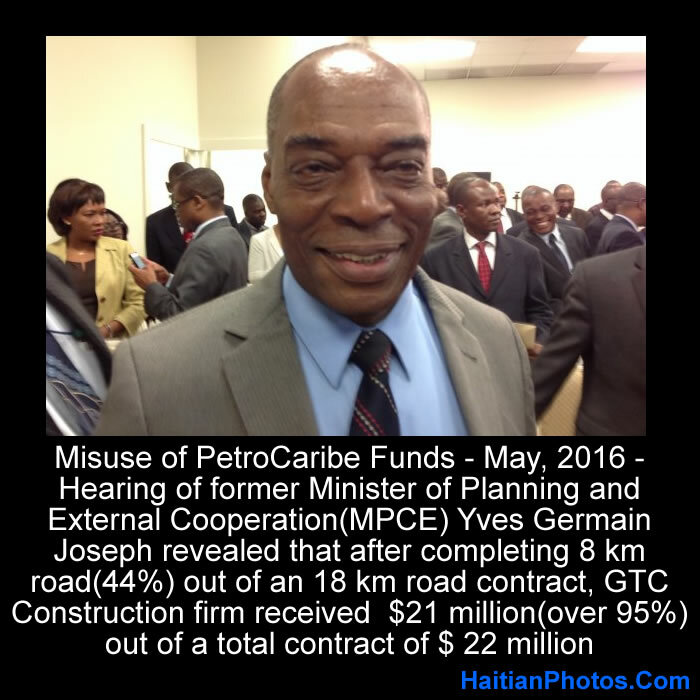 Former Minister Yves Germain Joseph revealed that following this incomplete work, a new contract was signed by the MPCE with the same construction construction company for $ 45 million with also PetroCaribe funds. The Former Director of Bureau of Monetary and aids Programs, Michael Lecorps, responded on Wednesday to the invitation of the Commission Anti-Corruption of the Senate. However, things were not easy for the former BMPAD Director at all. 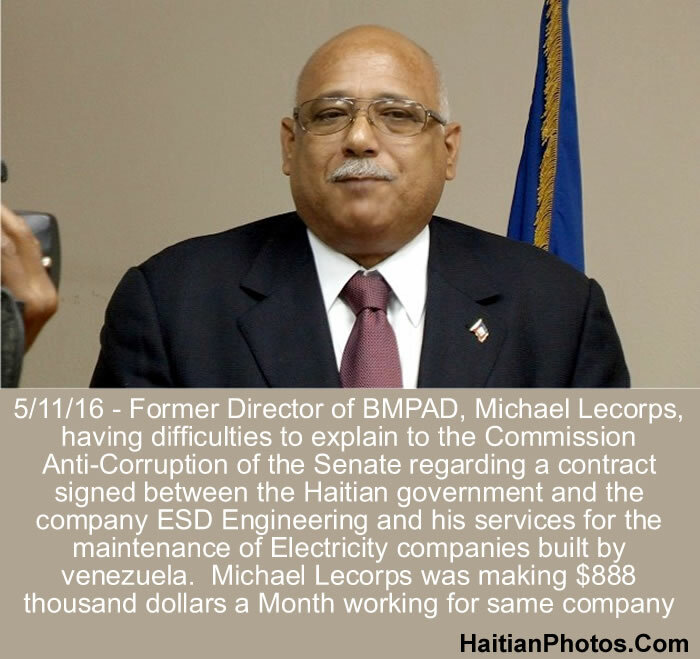 Michael Lecorps was unable to come up with acceptable justification for a contract signed between the Haitian government and the company ESD Engineering, also his services for the maintenance of the Electricity companies built by venezuela. Michael was making $888 thousand US dollars a Month working for that same company. 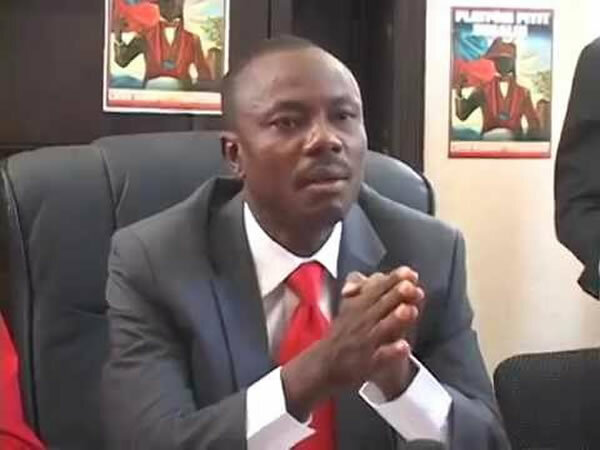 According to Presidential candidate Moise Jean Charles, the former Justice Miniter under PHTK and current advisor to Prime Minister Enex Jean-Charles is the principal actor in a scam to pay some Senators and Deputies in order to keep President Jocelerme Privert in office past the deadline. Former Senator Jean Charles declared to a reporter of Radio Kiskeya that Me Brunache was the one making the 200 millions gourdes available to Parliament.